Orange Creamsicle Chia Seed Parfaits — these delicious, protein-rich, light and refreshing parfaits are perfect for a healthy breakfast, snack or dessert. I love chia seeds, they are a super food, full of omega-3 fatty acids, protein, antioxidants and fiber and they are so versatile. Ever since I first tried chia seeds this past January, I’ve been having a lot of fun experimenting and creating recipes using chia seeds. I really enjoyed the Coconut Almond Chia Seed Pudding I made last month and thought a chai seed pudding would go nicely in a parfait. After some experimenting in my kitchen I’m very pleased with this recipe that I’m sharing today for Orange Creamsicle Chia Seed Parfaits. I love the combination of orange and vanilla, it is a classic. And eating one of these light and refreshing parfaits takes me back to my childhood summers eating Creamsicle popsicles at my neighborhood pool. 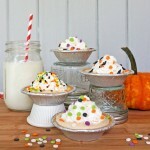 There are only three ingredients in these delicious Orange Creamsicle Chia Seed Parfaits and they are so easy to make. All you need is an orange, some chia seeds and vanilla yogurt. I use vanilla bean Greek yogurt. Greek yogurt is a little bit thicker than regular yorgurt so it works well in parfaits, but you can use any type of vanilla yogurt that you like. These parfaits are so easy to put together and the result is so pretty. 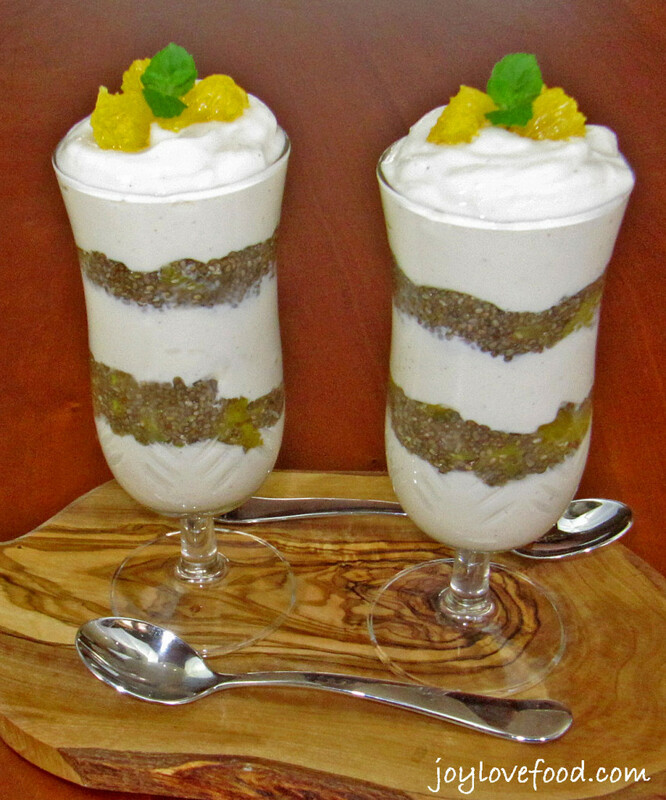 These delicious Orange Creamsicle Chia Seed Parfaits are perfect for a healthy breakfast or snack any time of day. These pretty parfaits would also be beautiful on a brunch buffet, or would make an elegant first course or light dessert for a special Easter meal or anytime! Orange Creamsicle Chia Seed Parfaits -- these delicious, protein-rich, light and refreshing parfaits are perfect for a healthy breakfast, snack or light dessert. Remove orange segments from other orange half and add to orange juice. 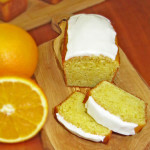 Reserve a few orange segments for topping if desired. Squeeze any remaining juice into bowl. Add chia seeds to bowl and whisk with a fork to combine. Cover and chill orange chia mixture in refrigerator for at least 3 hours or overnight. Once orange chia mixture is chilled, remove from refrigerator. It should have a pudding like consistency. 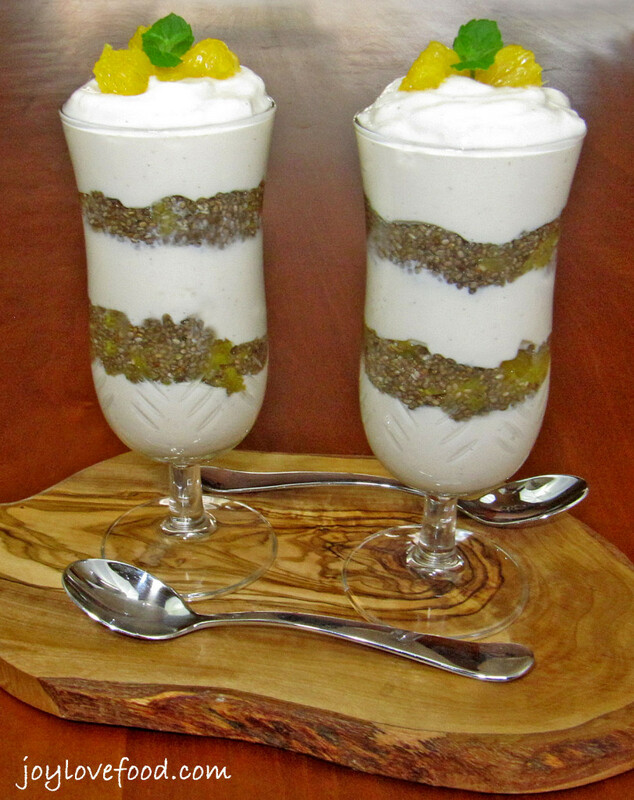 Layer Greek yogurt with orange chia mixture in glasses. Top with reserved orange segments and a sprig of mint if desired. You can substitute vanilla Greek yogurt or any other vanilla yogurt for the vanilla bean Greek yogurt. This entry was posted in Breakfast & Brunch, Main Dishes and tagged chia seeds, creamsicle, greek yogurt, orange, parfaits, vanilla, yogurt. Thanks so much Joy! What a great treat!! 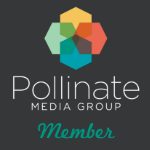 Thanks for linking up with My 2 Favorite Things on Thursday – Party!! I love having you!! Pinned! I have a package of Chia seeds that are calling to me. I feel like there is so much to learn before I start fixing them. Thanks for your recent postings on them. I’m getting braver every day! 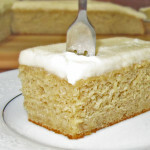 By the way, this looks really really yummy!!! Thanks Marjie! I hope you give this a try and enjoy! Thanks Brittany! I hope you give chia seeds a try and enjoy! Your Parfait looks delicious! Happy St. Patrick’s Day and thanks so much for sharing with Full Plate Thursday! Creamsicle is one of those favorite childhood flavors! I think this sounds fantastic and can’t wait to try it! 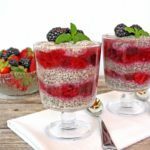 Love chia seeds, they are so versatile and filling! Thanks Sam! I agree, chia seeds are the best! I am finding so many used for Greek Yogurt and the chia seeds when I remember I use them everywhere. I love using Chia Seeds. Thanks for a new combo. On my “to do” list. KC the Kitchen Chopper recently posted…The Real Food Experience Week 10 Challenge: Eat the Rainbow plus Interval Training, the Zing Factor of Exercise! 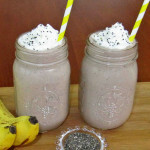 I have never tired Chia seeds but this looks amazing! Thanks Nicky! I think you will love chia seeds! Looks delicious! I love greek yogurt! I have been wanting to try Chai seeds and this looks like the perfect recipe to try! Pinning! Thanks Cathy! Hope you give it a try and enjoy! LOVE LOVE Chia seeds and your creation with them looks amazing. Pinned to make soon! These look great. Orange, yummy! 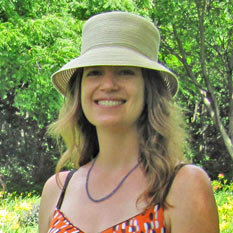 Christina recently posted…When I was a Little Girl and a Little House on the Prairie® Giveaway! I still haven’t gotten around to trying chia seeds, I really need to! Especially since this parfait looks so yummy! Thanks Michelle! I hope you give it a try and enjoy! I need to try this! 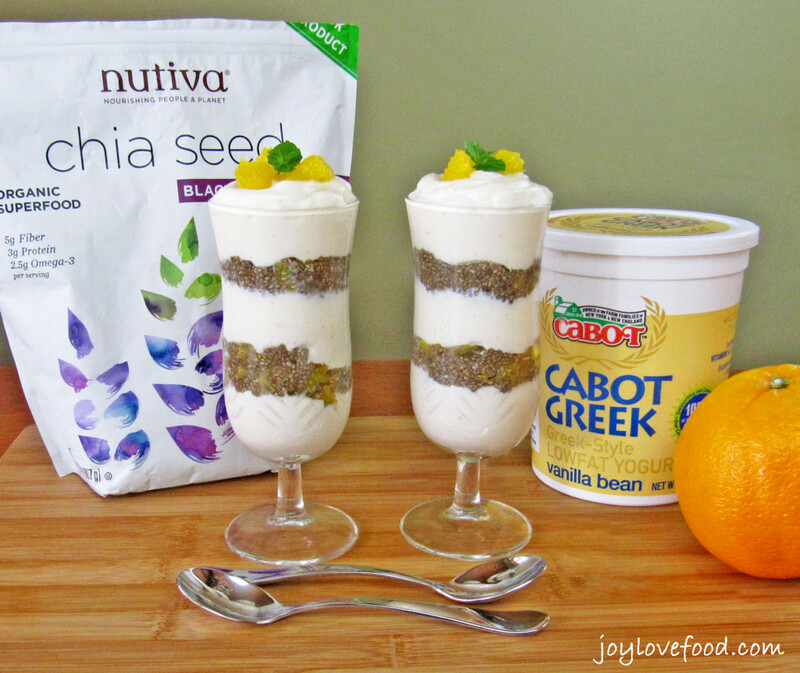 I love Chia seeds in my smoothies, but love the layered parfait!! Hope you give it a try and enjoy Dini! We love yogurt parfaits for breakfast here. I’m yet to try the chia seeds, I know I really should. Thanks for the inspiration. Hope you give it a try and enjoy Christine! Ohh I love Chia seeds and the punch of fiber they pack to keep me full. I never would have thought of adding them to my parfaits though so thank you for the idea! Chia seeds are the best! I hope you give this a try and enjoy! I agree, chia seeds are the best! I add chia to my smoothies. It’s time to start expanding to parfaits! Looks delicious! Thanks Sandra! 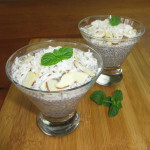 You will love chia seeds in parfaits! This is a good reason for me to start eating chia seeds. Thank you for a great parfait recipe. G’day This looks delicious and wish I could try! This looks delicious, I have not tasted chia seeds before, now i will buy and taste. Thanks Sadnha! I hope you give chia seeds a try, you are in for a treat! So cute! I still need to use chia seeds more! I only every use them for Chia “eggs” and in oatmeals! Thanks Rebecca! I hope you give this a try and enjoy!